Tune in for wild musical fun with everyone’s favorite purple dinosaur, Barney™ and his playground friends, in the all-new Barney: Musical Zoo on DVD, from Lionsgate and HIT Entertainment. Trusted by moms and adored by children, Barney displays sharing, caring, imagining, dancing and learning on television, online and through live events, home entertainment and publishing. The Emmy® award-winning series, Barney & Friends™ is one of the top-rated preschool shows today, airing on PBS KIDS® and PBS KIDS Sprout®. The DVD also includes a bonus episode of the all-new Preschool TV series, Timmy Time™ from the Academy-Award® winning Aardman studios. Hear an elephant trumpet and a lion roar as Barney and Riff™ create a wild concert filled with exotic animal sounds in Barney: Musical Zoo. Join Riff as he composes for a different kind of puppet show and then BJ™ and Baby Bop™ get into the act, learning about rhythm and performing for others in this super-dee-duper orchestral treat that the whole family will enjoy. “Riff’s Musical Zoo” - Everyone is excited about an upcoming trip to the zoo. When the trip is postponed, Riff gathers instruments that sound like real animals and creates a musical zoo using everyday items around the playground. “Special Skills” - Barney suggests that BJ and Baby Bop put on a show so Riff can see how much fun they have at the park. Riff is a little shy — he’s never performed in a show before. Barney encourages Riff to participate, and Riff does what he knows best – he makes music to accompany a very special puppet show. “Rhythm” - Baby Bop is practicing her marching because she will be joining a real marching rhythm band and is having trouble keeping a beat. Barney, BJ and Riff help Baby Bop learn about rhythm just in time for her to join the band. Timmy Time Bonus Episode – "Timmy's Plane"
Barney is an absolute favorite in our home, and we had a wonderful time checking out Barney's new DVD, Barney's Musical Zoo recently! With several lessons to be learned throughout the DVD (one of the top reason's that I love Barney...he's constantly teaching..be it manner's or the ABC'S!) the kid's were definitely captivated by the bright colors and all of the adorable animals! Barney's Musical Zoo on DVD is Wild MUSICAL FUN, for the whole family! The perfect way to keep the kid's entertained and actively learning on long winter days! Wild Musical Fun! One Lucky Reader will receive Barney Musical Zoo on DVD! Leave a comment~ Why do you love Barney in your home? The manner's? Value's? Educational lesson's?The Comment is considered your entry. 2) Tweet ~ Wild Musical Fun! 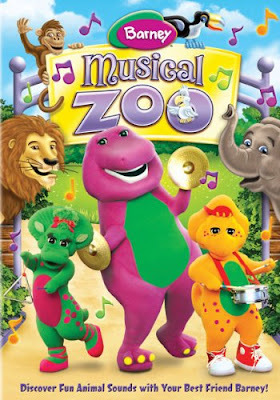 Barney Musical Zoo on DVD #Win @savvycouponmom http://bit.ly/f19AEY #Giveaway (can be repeated twice daily for additional entries~ copy paste please~cut and paste- the bit link must be posted in the tweet - I will check) (Additional 5 Entries - 5 Comments). Entry to this giveaway ends at 12pm PST February 18, 2011. Winner's are chosen randomly through random.org. The winner will be announced in a post within 7 days of the giveaway ending, and contacted through email. The winner will have 48 hrs. to respond or another winner will be chosen. We like Barney in our home because of the songs! We love Barney because it is a good quality tv show that teaches young children a lot of different things and its great clean entertainment. My daughter likes the music/songs on Barney best. my son loves all the songs and music. I love barney because he's good clean fun! and cute! We love Barney because we love to sing along with him, mom loves Barney because he's always positive and teaches us something. We love Barney because our little one loves him! I honestly am not that crazy about Barney, but my daughter LOVES it! I think it's the songs that really capture her attention and keep her wanting to watch more. Our home loves Barney because he teaches a lot about vocabulary and uses music and dance as a tool to achieve that - my daughter has so much fun when Barney is on! I love the manners and the values that Barney teaches. 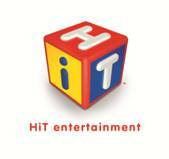 I follow Hit Entertainment on FB.